git commit -m "Some very long commit message that ruins everything when exceeding 50 characters"
You’re exceeding 50 character limit Git has for commit messages. 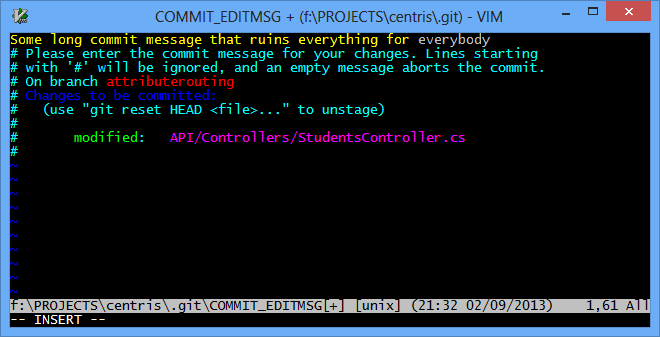 The rest goes to the commit message details. 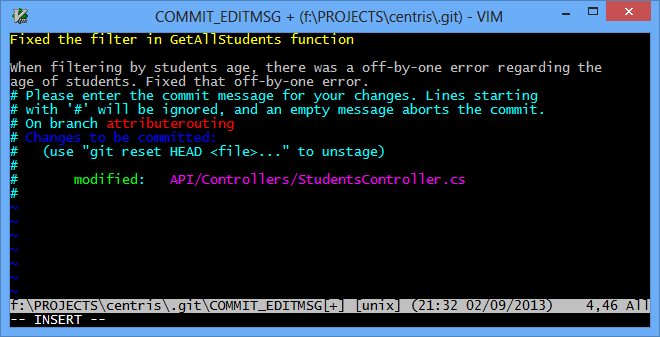 You should always get the commit message dialog by writing git commit. Then write a 50 character (or less) description explaining what is in your commit. Then after 50 characters, you go into more details why you made this commit. 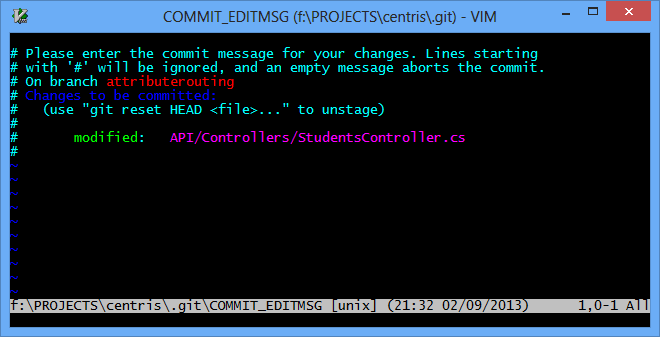 Here I am just going into the commit message dialog. Here I am in the commit message dialog. Notice how the word everybody is grayed out. That’s because it is beyond the 50 character limit. So everything after 50 characters becomes “details” in the commit message. So, after writing a short message in the yellow field explaining the WHAT in your commit message, press enter twice to get into the details (gray) field, and write more details, explaining the WHY of your commit.